That bit during the London Olympics opening ceremony when NHS nurses danced around metal hospital beds received mixed reviews. I also thought at the time that it was omg wtf ott, or just plain weird. Not any more. I now think it was beautiful and understated. Last week my 9 year old daughter decided to give us an asthma scare and so I resigned myself to long hours at the local hospital’s pediatric A&E department. The wait was predictably tedious, noisy, hot and stuffy, but, boy was it worth it! Two hours later we were called to a cubicle and then, well, I am still not sure if I hadn’t dreamt it all. Dr Annie (not her real name) gave us her full attention, warmth, cheerful chattiness, and so much more. She spoke directly to Alexia, not over her head. She was entertaining her with stories and photos from her own childhood. She had all the time in the world for us. She laughed and joked and made Alexia giggle again and again. Alexia felt very important and very special. Dr Annie quickly established that Alexia did not have asthma or any other respiratory problem. She did not stop there however, but carried on with her investigation, and did not give up until he was able to offer a plausible, not strictly medical explanation for Alexia’s symptoms. This is now being investigated further. Alexia is fine. When Alexia became upset during the consultation, Dr Annie asked her what her favourite colour was. ‘Purple’, managed Alexia between sobs. 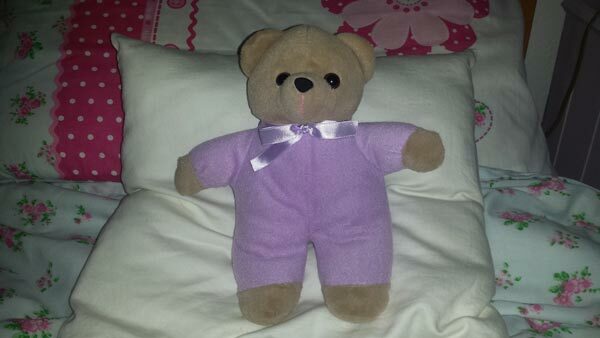 Dr Annie disappeared for a while, and came back with a teddy bear dressed in purple outfit. All this happened about a week ago and I am still pinching myself. Dr Annie has featured in our dinner conversations regularly ever since. Dr Annie the Teddy has been given the pride of place on Alexia’s bed. I cannot get over the magic that is NHS.